The official launch of the pilot exhibition space TempContemp at Northcity4: an exhibition space dedicated to experimentation and exploration of contemporary jewellery - what it is and what it can be. "I Hate Contemporary Jewellery" is the theme of the inaugural curated exhibition, an examination of our home turf through an open callout and challenge, asking makers and thinkers of Contemporary Jewellery to examine what we each love/hate about our current landscape: To defend it, applaud it, question it, seek to improve, or damn it as they see fit. Northcity4 is a shared studio, housing a busy community of sixteen artists working in the contemporary jewellery field. In establishing a home gallery at Northcity4, the aims of the pilot project have been shaped by the physical space and the curiosity of the curatorial team comprised of Laila Marie Costa, Annelies Hofmeyr and Anna Gray. TempContemp is a temporary contemporary curatorial project to experiment with the exhibition of contemporary jewellery – in other words...there’s a new independent gallery space in Brunswick, Melbourne, Australia and we want to show the world ALL the jewellery things! We envision a pop-up stage for contemporary jewellery, during which visitors can delve into the delights of experimental jewellery thoughts, objects and inventions. And an emphasis on interactivity between bodies in the space and the works displayed – in other words…we would love a variety of works, activities and discussions around contemporary jewellery. The possibilities are endless so anything remotely related to contemporary jewellery is most welcome! 1. To convert a small, blank room into a space worthy of housing and contemplating ideas around contemporary jewellery. What is it? Who makes it? Who wears is? What can it be? To examine, and if need be, interrogate the systems that support contemporary jewellery (or hold it back). 2. 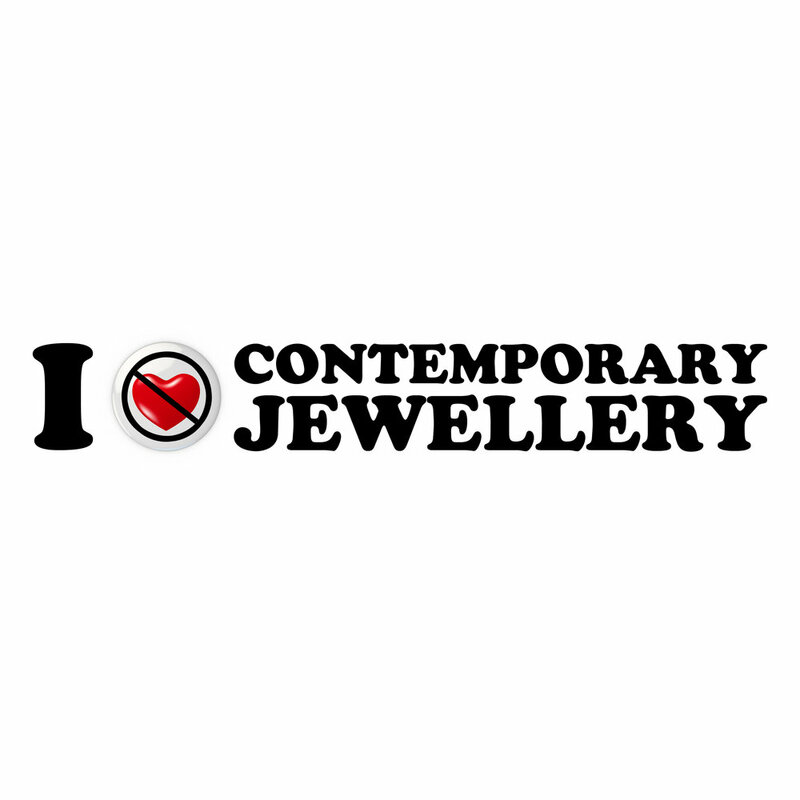 To share these ideas, enthusiasm and education for contemporary jewellery with our jeweller community as well as a wider, non-contemporary-jewellery public. 3. To successfully run such a space on a tight budget, mostly voluntary, with restricted opening hours and limited impact/interruption to working tenants or financial burden to the participating artists. TempContemp at Northcity4 is a 2018 recipient of a Moreland City Council's Arts Investment Grant. "I Hate Contemporary Jewellery" opens at TempContemp on Friday, 24 August 2018, 6-9pm, as part of Craft Cubed Festival. The gallery hours are Fridays 11-5pm and Saturdays 11-4pm, or by appointment, through to Saturday 8 September. Contact gallery@northcity4.com for more information.